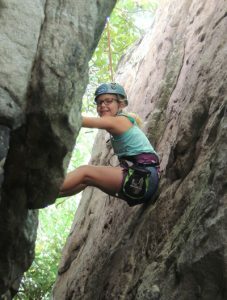 Our Youth Camp Program provides hours of guided climbing and a variety of specially developed activities. Join us any day public schools are closed or for our week long camps spring, summer and winter break. ROCK-out on your special day! Make us a part of your next event and let our guides lead you through the adventure that is projectROCK. Birthday and Group Packages starting from $275 for members and $325 for non-members for up to ten climbers for 2 hours with two guides. 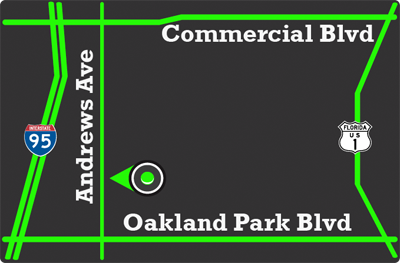 ** Must cancel at least 2 weeks prior to date of party or event. Come earn your climbing badge with us. 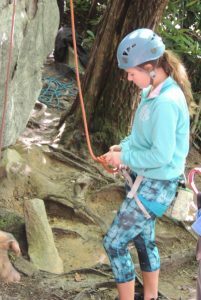 Further your climbing experience and develop the essential skills necessary for efficient and smooth climbing. The foundation of climbing is based on communication and teamwork. Create a unique team building experience which is completely customizable and incorporates activites focused on building trust and camaraderie. 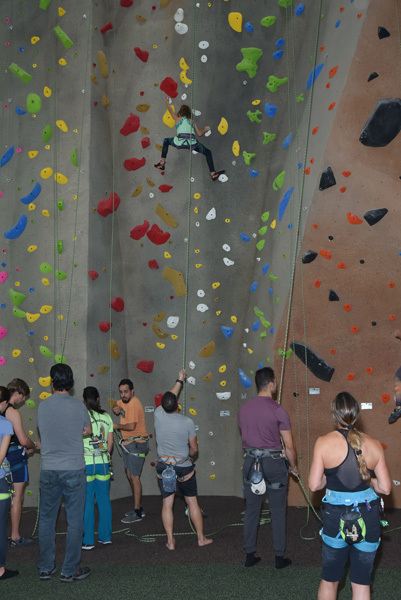 Join us for our themed ROCK community appreciation climbing events in support of our local charity partners. Interested about an upcoming Class or Event at projectROCK? Check out our Calendar and sign up today! Rock Climbing can be a little intimidating. Develop all the fundamental techniques needed to climb. Let our knowledgeable guides help you confidently explore everything sport climbing has to offer. This course focuses on effective footwork, balance, body alignment and advanced movement techniques. Learn to lead climb and increase your knowledge in this advanced level of climbing. Our Yoga class will allow you to explore a variety of yoga techniques and moves, designed to strengthen core muscle groups and increase range of motion.